You’re never too old to learn something new, and you don’t need to look further than the apps available to you in the Setapp collection. Setapp gives you access to tons of great software for one monthly subscription, which means you can sample apps you might never would have tried otherwise—and suddenly you’ve learned a new skill, tried a new hobby, or maybe even rediscovered something you used to love years ago. For example, the next time you’re bored, try to teach yourself a new skill, like creative writing, drawing, music, or photography. Here are a few ideas. Keeping a journal, or working on a novel or screenplay, is a great way to exercise your brain—a lot of writers recommend writing three “morning pages” or 750 words first thing every day to wake up your mind and get your creativity flowing. 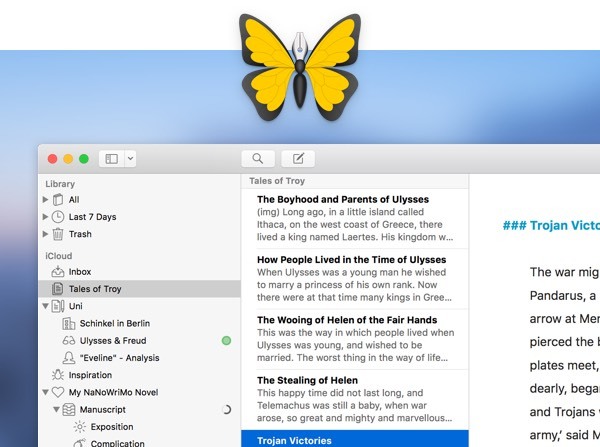 Ulysses is a great tool for long-form writing projects or just keeping a journal, with a distraction-free interface and great organization features. And if you decide you want to publish your writing to a blog, Ulysses supports Markdown formatting and direct publishing to WordPress and Medium. The best way to learn something is teaching someone else. With Capto, you can make tutorial videos by capturing your computer screen. You can even add annotations and voiceover. 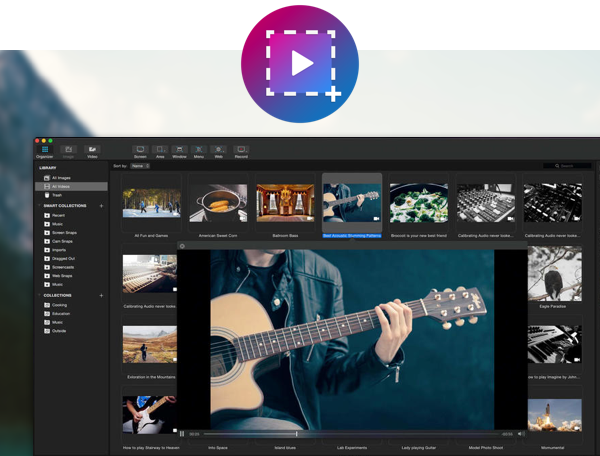 This will let you make how-to videos to demonstrate software, or show off other skills. You could even record yourself with your Mac’s camera, or import video you shot elsewhere to add voiceover and titles. Taking photos is fun, but you wind up with a hard drive full of photos unless you do something with them. 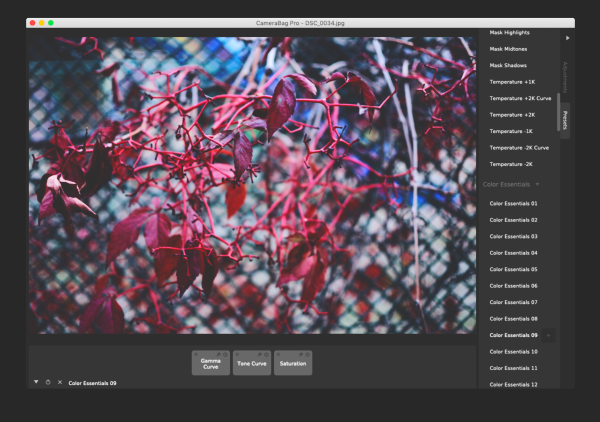 CameraBag Pro is an easy-to-learn editor that lets you play with filters and experiment with different lighting effects. Then as you level up your editing skills, CameraBag Pro can teach you about things like white balance, gradients, and color masks. If you find yourself tapping out rhythms on every available surface with your fingers, pencils, and chopsticks, check out n-Track Studio, which lets you play with drum loops to your heart’s content. It’s a full-featured recording app, but even if you don’t play guitar or keys, the built-in drum synthesizer has tons of loops and presets that you can mix into your own beats. You could even load in instrumental versions of your favorite songs and try your hand at a remix. One of the purest expressions of creativity is drawing. Tayasui Sketches lets you use your mouse, trackpad, or a graphics tablet to draw and paint on as many layers as you like. The extensive toolset itself can even spark creativity—your mind may go to different places when you’re wielding a paintbrush versus a pencil versus a can of spray paint. Even if you don’t think you can draw, try fingerpainting! The watercolors in Tayasui Sketches are particularly gorgeous, and the action of smearing them around on the canvas and blending the colors into each other can be downright soothing. A blog is a great way to express what’s on your mind, and you don’t even have to be a writer. Blogo is an extremely handy blog editor that lets you easily publish posts to WordPress, Medium, and Blogger. Even better, it has deep integration with Evernote, in case you save snippets to your Evernote notebooks that you later want to turn into blog posts. Blogo also makes it easy to find photos, YouTube or Vimeo videos, GIFs, tweets, and more to add to your posts. That way, your blog could have less writing and rely more on GIF reactions to links, or a stream of your best Instagrams. Blogo and Ulysses are good for shorter writing projects and ongoing projects like a blog, but when you’re working on something huge, like your NaNoWriMo novel or a scholarly textbook, Manuscripts has the extra organization you need to maintain your sanity. The best feature is the live outline that’s created as you work, which makes it easy to change the structure around later. Wokabulary is a strange bird for a language app, since it’s all about creating your own vocabulary flashcards and quizzes—it doesn’t come with any content bundled in. But that means you can seek out terminology for anything you want to learn about, from jargon related to your job or hobby, to words in a foreign language, to scientific terms, to the words on your kid’s spelling test or practice SAT exam. The app assigns a difficulty to each term based on how well you nail it in the quizzes, and helps you master each term over time. Plus, it syncs with the Wokabulary mobile apps, so you can use your Mac to set up the lists, and then quiz yourself on the go. Setapp gives you access to more than 100 apps for your Mac, so you’re bound to find something you want to dive into, and new apps are being added to the bundle all the time. With so many interesting skills to learn, you’ll never be bored again.